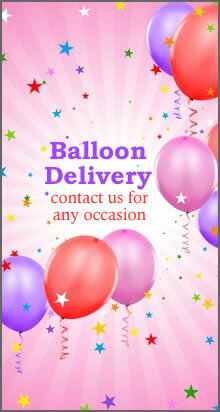 Whether you need a large balloon decorations or small balloon delivery we can serve all your needs. Give us a call and let us bring excitement to your event! whatever you call them we have them for rent! Makin Memories is quickly making a name for itself by becoming a leading renter to the Chicago land area. Let us Decorate your Event! Look no further we can take care of your event all in one place what ever you may need. We have Live entertainers, live bands, and DJs . Let us Hook it Up! We provide decorations whether it be balloons or flowers. If you forgot something, our rental department can provide it - tables, chairs, coolers, heaters, generators, etc...So why hire different contractors when you could have it all in one place. Makin Memories has provided wedding decorations for over 20 years! 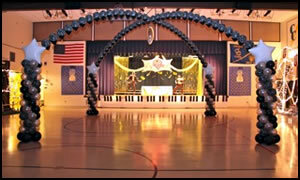 We offer a wide range of services from balloon decorations. Our expert staff can create your special theme what ever it may be. 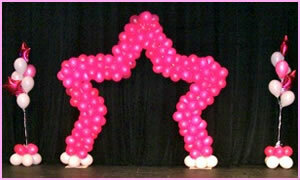 Beautiful Balloon decorations, Bulk balloon delivery for Chicago and suburbs. Balloon Decorations are amazing ,fun and exciting. We specialize in Balloon decorations for Corporate events and Weddings. We also provide live entertainment, Dj service, live bands, photography, video services and editing. "Thank you Chicagoland for 20 years of continued business!" Bounce House Rentals in Chicago land area now Available! whatever you call them we have them for rent! If you are having a private party or a full blown production, Makin Memories has what you are looking for. Our knowledgeable staff can help you with whatever questions you have. We have all different kinds of jumpers, slides, interactive games, concession equipment.